Simple and smart, taking bakeware lids to a new level of convenience and functionality. The evolution of bakeware covers started with a simple lid, progressing to a carrying lid and now we have combined best of both features. 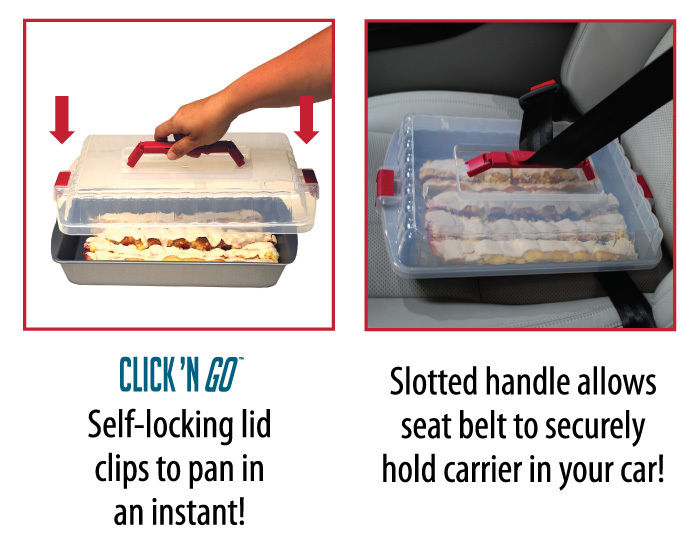 The collapsible handle has a built-in notch to accommodate a seat belt for secure auto transport. The positive locking clips have a high tech trigger for a secure fit and quick release. 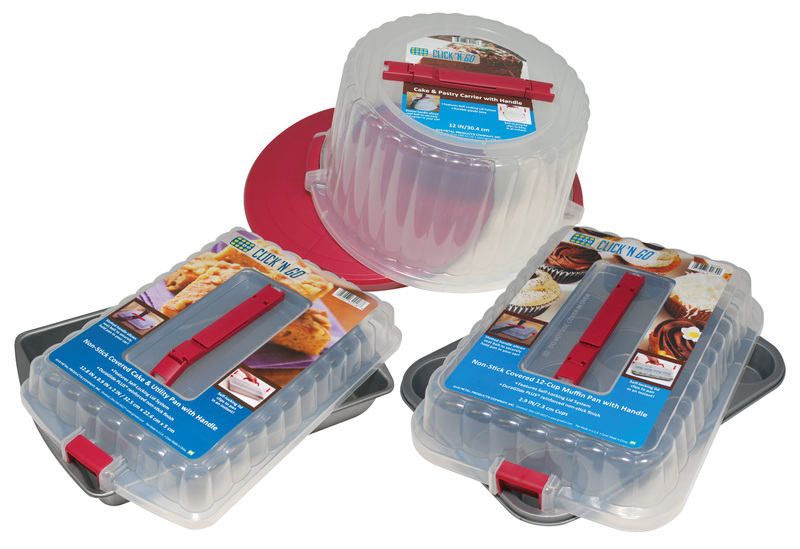 The three lids have ample room for the most decadent treats; the cake carrier easily accommodates a three-tier cake.